Not taking care of your teeth can lead to more than just bad breath. 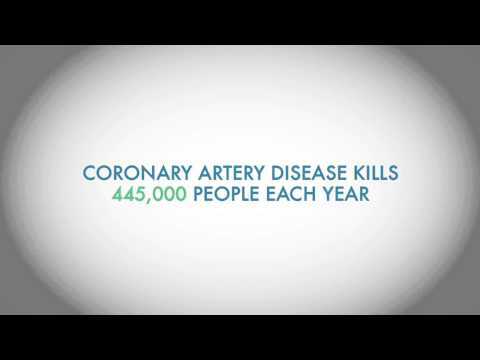 There are links between heart disease, stroke, and more. Bleeding gums, cavities, dry mouth, or fungal infections can clue your dentist to check for more serious systemic problems such as diabetes, HIV, or leukemia. Periodontal disease occurs when bone deterioration around the teeth leads to loosening and eventual tooth loss. Periodontal bacteria can travel through the bloodstream, which can cause respiratory problems and even erectile dysfunction. Periodontal Disease has also been linked to Pancreatic Cancer as well as Coronary Artery Disease. Unfortunately, less than 3% of those with periodontal disease actually receive treatment (American Academy of Periodontology) leading to a 21% increase in health care costs to those patients without periodontal disease (Journal of Periodontology). Pregnant women should be diligent about flossing and brushing to prevent plaque buildup. Periodontal disease has been associated with preterm delivery and low birth weights which can be avoided with basic daily dental care. Centers for Disease Control and Prevention reports premature, low-birth weight babies cause 20,000 infant deaths every year. Loose teeth can potentially be a symptom of osteoporosis. The risk of tooth loss for women with osteoporosis is three times greater than those without the disease. Check out our LANAP page to learn about treatment options for gum disease. Ninety-five percent of US adults with diabetes also have periodontal disease in which 1/3 of those have led to tooth loss. Diabetes can also lead to increased oral infections, and periodontal disease makes it more difficult for diabetics to control their blood sugar, which can lead to further health complications. According to the American Diabetes Association, diabetes contributes to 230,000 deaths each year. Not only are diabetics more likely to have periodontal disease, but periodontal patients are more likely to develop diabetes. Along with discolored teeth, smokers are at greater risk for several unpleasant oral issues, including but not limited to tooth loss. One half of all cases of severe gum disease are a result of smoking, and forty-one percent of daily smokers over age 65 are toothless. Smoking can also increase your chances of calculus (plaque that hardens on the teeth and can only be removed during a professional cleaning), deep pockets between the teeth and gums, loss of bone and tissue that support your teeth, mouth sores, and oral cancer. A dental abscess is an infection of the mouth, face, jaw, or throat that begins as a tooth infection or cavity. Although these infections can be caused by poor dental care, they may also occur in people with underlying medical conditions such as autoimmune disorders. In some cases, the infection can progress to the point which swelling becomes life threatening. Infections on lower teeth can potentially block the airway, causing difficulty breathing. Infections on upper teeth can enter into the sinus spaces and potentially migrate into the brain. Dental abscesses can also make you ill, with symptoms of nausea, vomiting, fevers, chills, and sweats. Eating disorders are very serious and highly prevalent disease in the United States. Approximately ten million Americans are impacted by anorexia or bulimia. Early signs can be caught by your dentist and should be discussed in a private comfortable setting. According to the American Dental Association, eating disorders can also affect a person’s oral health. Without the proper nutrition, gums and other soft tissue inside the mouth may bleed easily. The glands that produce saliva may swell and individuals may experience chronic dry mouth. Bulimia also affects teeth. When the stomach acid repeatedly flows over teeth from throwing up, the tooth’s enamel can be lost causing change in color, shape and length. The edges of teeth become thin and break off easily.